Law school comes with a multitude of costs, from tuition to books and living expenses. But when Kyla Lee, a criminal lawyer at Acumen Law was a law student at UBC, she noticed another hidden cost — one that often acted as a barrier for female students who couldn’t afford it. That hidden cost was women’s suits, which are often required for various networking events and can act as vital pathways into a lawyer’s career. That's why she's hosting a used suit drive at the Allard School of Law on February 14 and 15 to give female law students access to affordable formal wear. Lee says a women’s suit can range from $300 to over $1,000, unaffordable for many law students who may not have factored it into their budget. “You don't think that you're going to have to have a special budget to buy special clothes that you have to wear for various events that the school puts on,” she explained. Lee noted she noticed many fellow female law students missing out on opportunities because of this. “I know, for myself, I was less likely to go to networking events because I didn't feel like I had the appropriate wardrobe to show up there because I couldn't afford it,” she said. Lee added that many lawyers see the suit as vital to the dress code of the profession, especially for female lawyers. She noted that affordable men’s suits are more easily available than affordable women’s suits. “[If] you've got a blazer on top of a nice pair of slacks, or on top of a nice shirt with a blouse but they're not part of a set, some people feel the need to pull you aside and comment and say, 'That's what you wear to court?' and suggest to you that it's not appropriate,” she said. With the event, Lee hopes to give as many suits to female law students as possible to help ease this disparity. 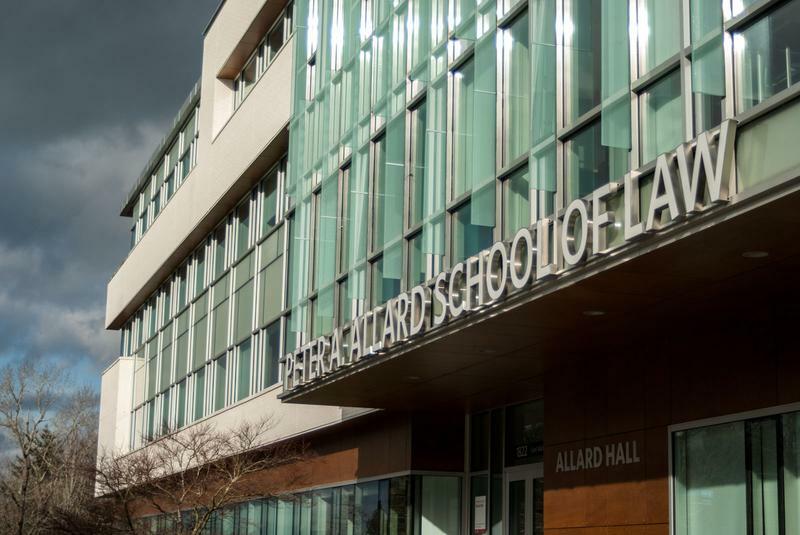 The event will be held on February 14 and 15 in the Centre for Feminist Legal Studies at Peter A. Allard School of Law, where female-identifying UBC Law students are welcome to try on and take a suit. Donations of new or gently used suits are also being accepted until February 13 at 3 p.m. Donations can be dropped off at the Centre for Feminist Legal Studies or any Acumen Law office. Pick-ups can also be arranged by contacting Kyla Lee.